For Use With Gear-Driven Machine Polishers. 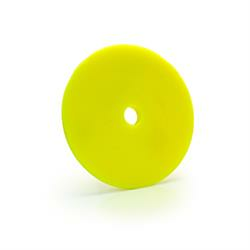 Gear-driven, (also known as forced rotation) dual action polishers have a specific motion that can be hard work on regular foam polishing pads. RUPES has designed the Medium Foam Yellow Pad specifically to maximise the mechanical action of the RUPES LK 900E, transmitting that action to the paintwork, delivering superior results. The low profile of the pad allows for better feedback through the machine, improves stability for better control. The lower profile also reduces pad distortion which leads many pads to rip and tear. Use the Yellow pad to quickly and efficiently remove swirls, holograms and other paintwork blemishes.